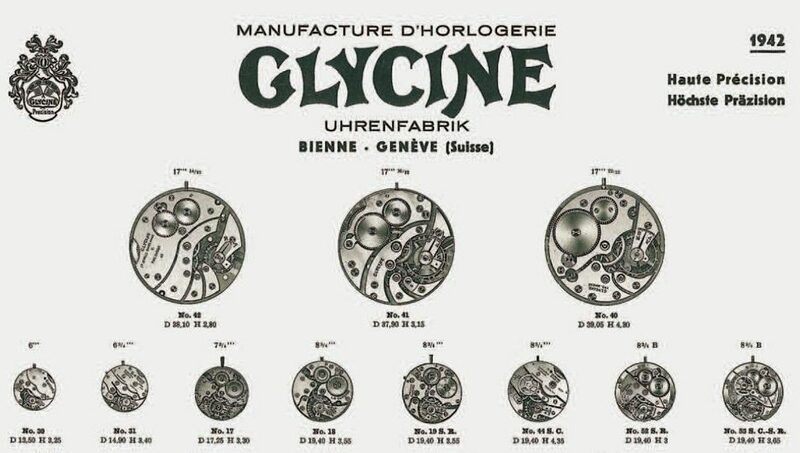 Glycine was founded by Eugène Meylan in 1914, in the small watchmaking town of Bienne, Switzerland. In the 1920’s Meylan focused on manufacturing miniature hand winding movements for ladies’ watches, cased in precious metals, and exported to US and UK market. The 1930’s brought forth Glycine’s first automatic and chronometer watches. 1950’s was a breakthrough year for the company with the release of Vacuum chronometer and the Airman. 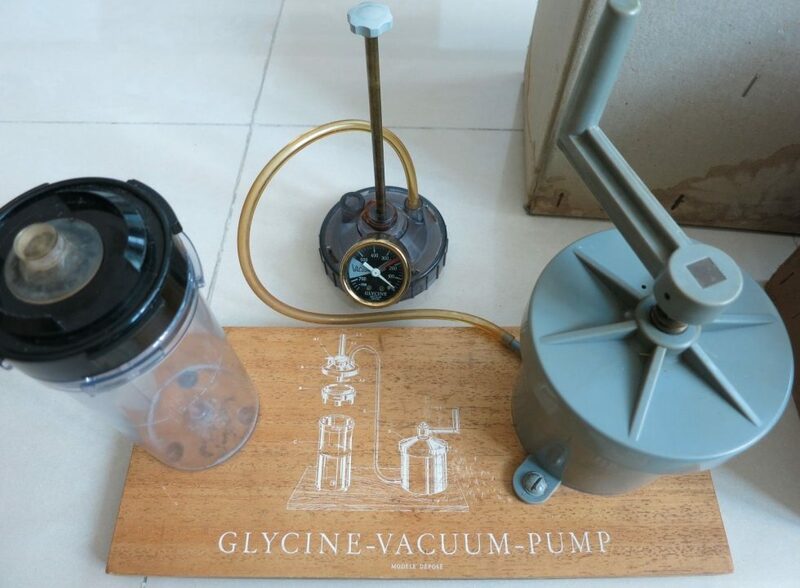 The Vacuum chronometer system was invented and patented by Hans-Urlich Klingenberg, which kept air out of the inside of the case, thereby giving it greater water resistance, shock resistance, and accuracy. 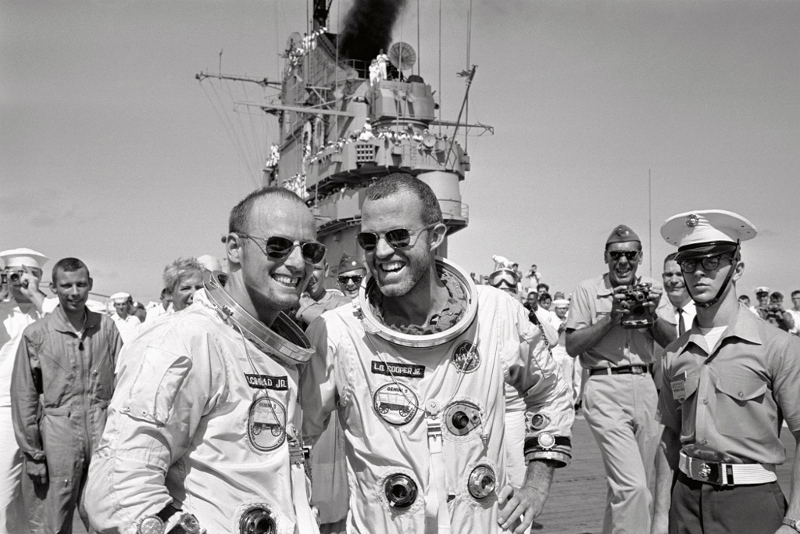 However, Vacuum chronometer did not catch on as the quartz revolution redefined accuracy. 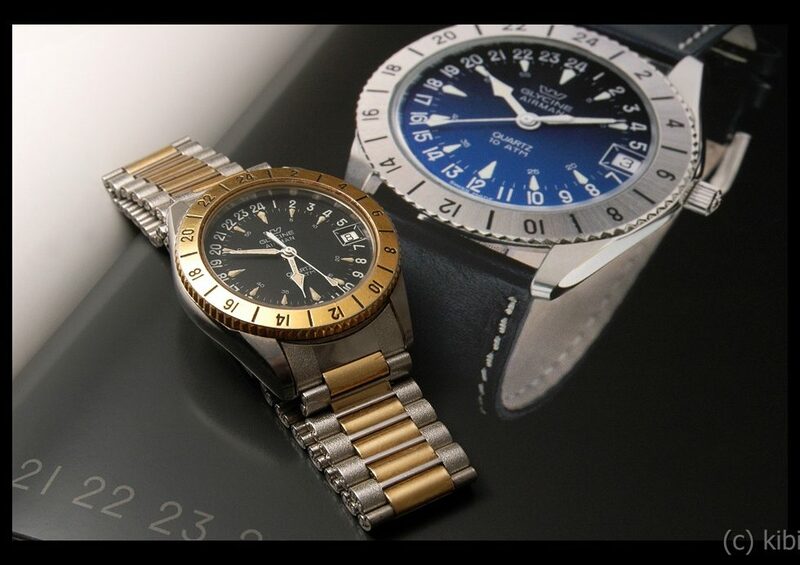 Moreover, Rolex Oyster system was more popular then and remains popular even now. 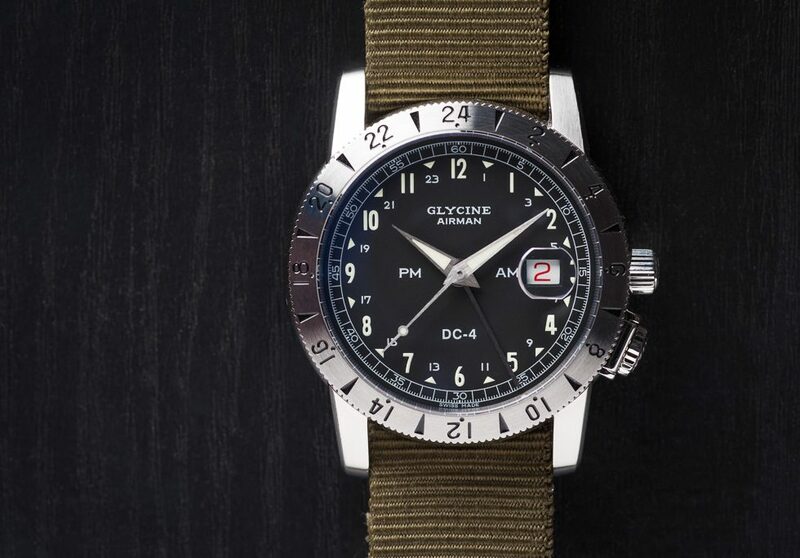 However, Glycine’s release of Airman watches in 1953 was a success. A military or commercial pilot and a business traveler could view the local time as well as the second time zone (home time) with a quick glance of the watch. The first Airman watches were sold to the military with the 24-hour dial with A.M. to P.M. in a clockwise direction and 12 noon indication at 6 o’clock position. The watch featured a 24-hour rotating bezel for second time zone and a quick-set date. These watches were powered by the Felsa Bidyanator automatic movements (caliber 690 and 692) and had a screw-back case. 1960’s were the most successful years for Glycine with the Airman military dials and 12-hour dials. The Airman watches switched to A.Schild movements (caliber 1700 and then 1903) with crosshatch crown and compressor snap-back case. In 1967, Glycine came out with the Airman SST to mark the era of Supersonic Transport. 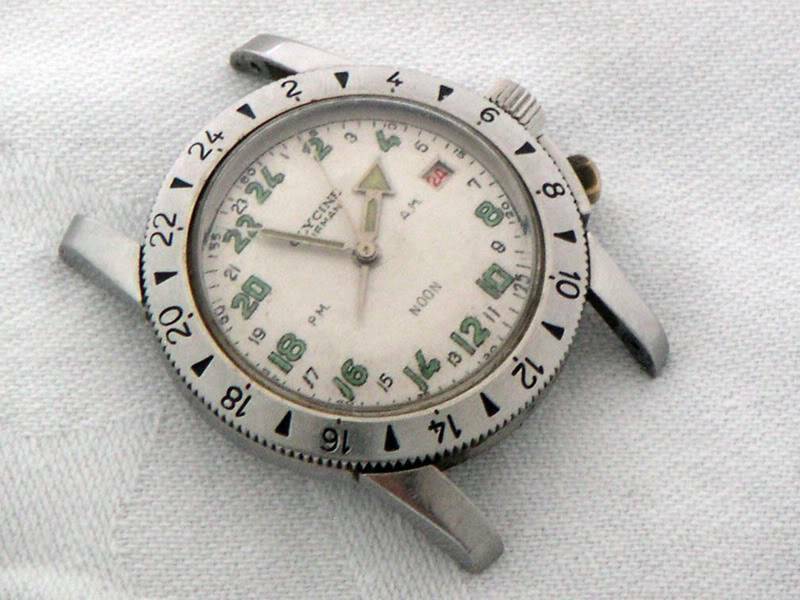 This watch had both a 24-hour dial (military time) and a second time zone in a tonneau shaped case. The orange dial of SST is unmistakable, and is referred by watch enthusiasts as “pumpkin dial”. In 1978, Glycine ceased production of Airman mechanical watches, and in 1979 Glycine introduced the Airman quartz to join the industry trend as their mechanical watch sales plummeted. In 1998, Glycine began to produce Airman 2000, a modern mechanical homage watch with ETA movement, minus the special hacking feature. The ETA 2893 movement has the normal hacking second hand, without the reset to zero feature. 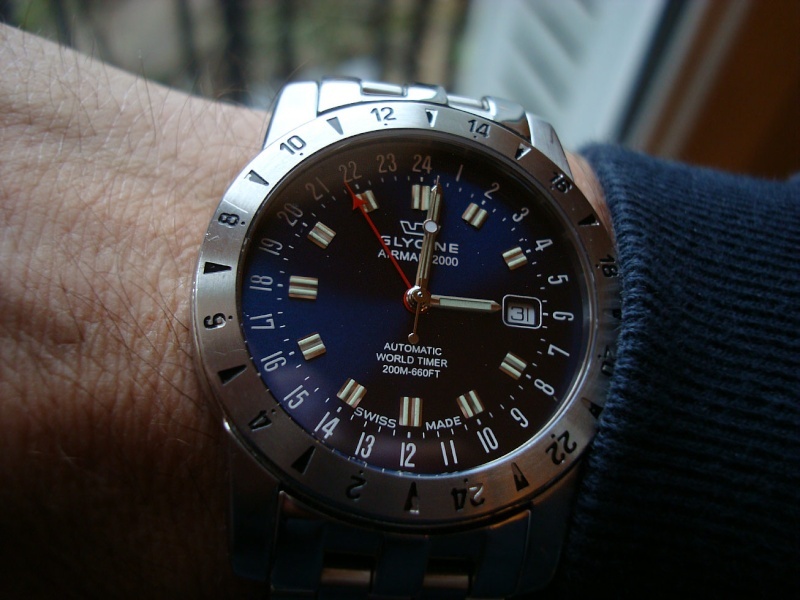 Glycine released several interesting Airman watches in the 1990’s and 2000’s with multiple time-zone. In 2002 Airman 7 was introduced, featuring three mechanical movements simultaneously displaying the time in four time zones. In 2014 Glycine launched the Airman Airfighter pilot chronograph. Although, the watch enthusiasts favored the Airman 18 (and later Airman 1) Purist model – a 39mm watch powered by ETA 2893, with 24-hour dial and second time zone on bezel. It is reminiscent of the Airman worn by US Air Force during the Vietnam war. 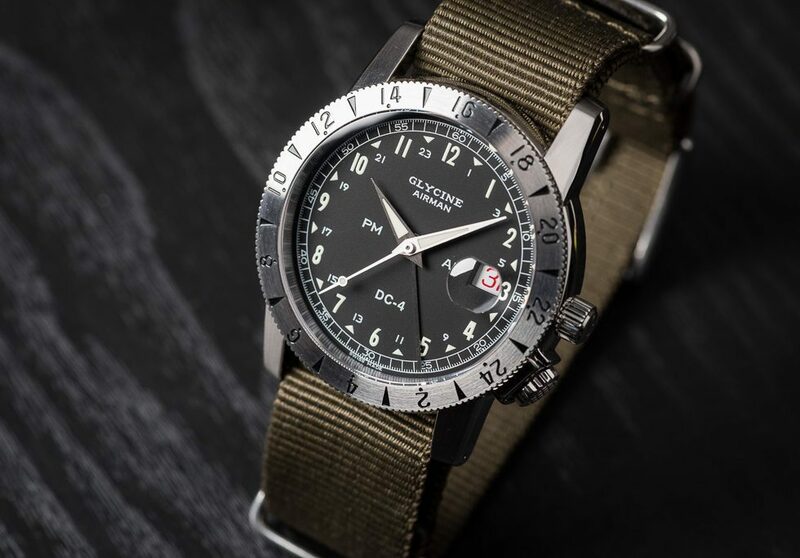 In 2016, Invita Group acquired Glycine company and began discounting the existing Airman watches, therefore, a good bargain can be had on an Airman DC4 or SST model on various internet sites, including sites like Touch Of Modern. 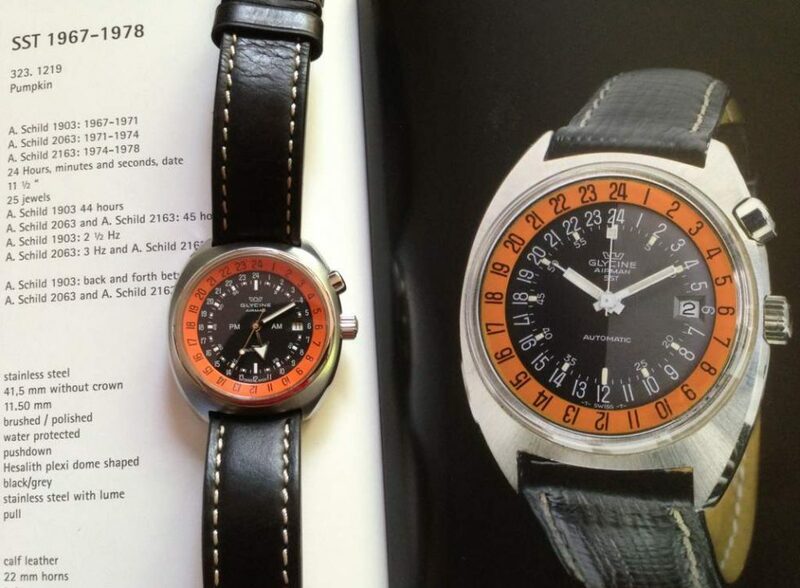 If you are interested in discovering the history of Glycine watches, the best two resources are legendary posts by Emre Kiris on Watchuseek f18 forum, and read the Airman book for free by André Stikkers. In the past ten years, you could find André at the Glycine booth in Basel imparting a wealth of knowledge about the Glycine Airman watches while handing you a copy of his book.